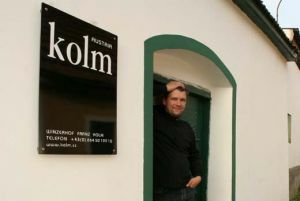 The winery of Franz Kolm is situated at the entrance into Kamptal (Kamp valley) and Waldviertel, approximately 80 kilometres from Vienna. The total wine growing area is about 8 hectare. The wine planting is split among the area-specific varieties of Grüner Veltliner, Riesling Sylvaner, Malvasier, Welschriesling, Pinot Blanc, Weißer Riesling, Blauburger, Blauer Portugieser and Zweigelt. An ecologically beneficial treatment of the vineyards is part of the winery´s philosophy. 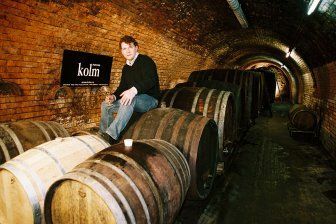 During the process of vinification Franz Kolm jun. is taking utmost care that the grapes are getting from vineyard into wine-press in the most careful way possible. The process of fermentation is also controlled in order to reach a smooth and harmonious fermentation. The wines are variety-typical, full of extracts, fresh-fruity, with absolut purity of variety and an unmistakable character. By telephone appointment we are looking forward to organize for you a wine-tasting in our idyllic Kellergassen-atmosphere.